U.S. investigators have spent years trying to figure out why the brakes on thousands of U.S.-made trucks and SUVs were failing without warning. Brake failures were behind at least 107 crashes last year and there is data illustrating that up to two million vehicles could be affected. Finally, after four years of study, the National Highway Traffic & Safety Administration (NHTSA) says it has finally solved the mystery: Salt. According to reports, the agency has “strongly” suggested that Americans “thoroughly wash the underside of their vehicles.” Investigators found unexpected brake failure could happen to anyone driving a 2008 and earlier vehicle in a cold-weather state. In a 2011 NHTSA probe, the agency looked at GM trucks made in 1999-2003 following numerous reports that some of the U.S.’s largest passenger vehicles seemed unusually prone to sudden brake failure. Among the suspects: the Cadillac Escalade, the Chevy Suburban and the GMC Yukon. “Salt and other chemicals can accumulate on road surfaces, can accumulate on your vehicle’s underbody, and could put you and your passengers in danger,” says a safety video issued Thursday by NHTSA. The ‘incubation period’ identified by the report was only eight years. By that point, cars driven in “harsh conditions” would have built up enough corrosion to produce extremely dangerous and life-threating structural problems. 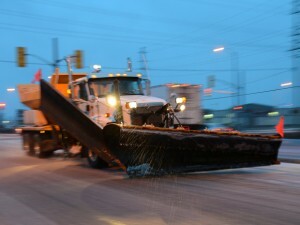 If you live in one of the “salt states” and own a vehicle that falls within the period, you could seriously be at risk. The best action to take at the moment would be to follow the Agency’s directions and thoroughly wash the underside of your vehicle. This should be done semiannually to prevent the spread of corrosion. We will be updating this story as soon as we’ve received more information. BRAKING FAQ: Can Brake Fluid Freeze? Technically brake fluid can’t freeze solid like water due to the fact that it is an oil. But it can reach a point where it becomes so thick that it no longer becomes effective at transferring force from the master cylinder to the wheels. The fluid can “gel” or congeal. Base mineral oil has a “working point” of -22C or -30F. But, it will never turn into a solid. Additives to the base oil can push the limit to -45F or lower. It the temperatures go lower chances are the pedal will be stiff, but not frozen. After a few stops, the heat of the brakes would warm the fluid. If you are driving in temperatures below -50F, you have a lot more problems than the brake fluid like engine oil and coolant. Theoretically, the ABS pump on some vehicles could have problems if it activate and the brake fluid was thick enough. This could introduce air bubbles into the brake fluid. Also, since brake fluid is hydroscopic (absorbs water), the additional water can influence the viscosity at lower temperatures. 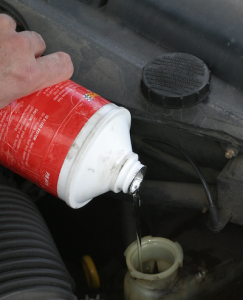 No, DOT 3,4 and 5.1 brake fluid will not freeze preventing you from stopping altogether. Chances are if you have experiences a hard brake pedal in the winter, it is condensation in the brake booster or vacuum supply hose that has frozen. Eight-hundred and six beautiful Indian Scout motorcycles are being recalled in conjunction with a NHTSA investigation that found a potential problem with the rear brakes of the bike. According to Zig Wheels, the Scout possesses a fault with the rear brake’s master cylinder which could cause a partial loss in stopping power or even a complete failure of the rear brake. In other words, this problem could very well cause a gruesome crash due to the brakes having a possibility of failing without notice. What propelled this recall were a few warranty claims by customers in the US. After enough claims were made, the National Highway Traffic and Safety Administration enacted a full investigation which produced evidence that the Scout truly had brake issues. Indian Motorcycles will notify affected owners, and dealers will inspect and replace the rear brake master cylinder, if necessary, free of charge. 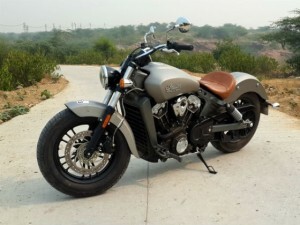 Polaris India, which owns Indian Motorcycles, have told sources that delivery of Indian Scout bikes have yet to begin in India and as such this recall is not going to affect bikes sold in India. 1) First thing is first, DO NOT PANIC. When dealing with a dire situation like being behind the wheel of a uncontrollable speeding hunk of metal, it is important you don’t lose your cool. Panicking can cloud your judgement and cause you to think irrationally, which is the last thing you want to do in a situation like this. 2) Take your foot off the gas and check to make sure cruise control isn’t on. 3) Pay attention to how your brake pedal feels. If it’s soft and goes to the floor, you more than likely need to replace your braking fluid, have a faulty master cylinder or just general problems with your drums or calipers. -If, however, your brake pedal is hard and does not move at all, that means something in your braking system may have stopped working or you may have a something under the pedal. Try to feel with your foot (or have a passenger look) to see whether you have something under the brake pedal. 4) Pump your brakes. Pumping your brakes several times could possibly rebuild enough pressure in the braking system for you to stop. This may take a while, so keep trying. You should do this even if your car is equipped with ABS, as the ABS is only activated when your car is braking too hard (which won’t be the problem if your brakes have failed). Next, whether the car has ABS brakes or not, press the brakes down to the floor to make the most out of all of the pressure you have preserved or built-up, as hydraulic (or air) brakes rarely fail all together. Keep the brakes pressed to the floor. 5) Shift into low gear. Shifting into lower gears is one of the least known ways to slow your car. If you have an automatic transmission, downshift a gear at a time into low range (generally labeled as “1” on the shifting mechanism). If you have a manual transmission, downshift a gear or two at a time, feel the car slow, and repeat as you work down through the gears. 6) Use the emergency brake. The emergency brake, or better known as parking brake, can usually stop a vehicle, although it will take longer than usual to come to a stop because it only applies stopping power to the rear wheels. Apply the brake carefully and steadily; your emergency brake can lock your tire if applied too hard or too fast, especially at high speed. If you pull up the brake quickly, you may lose control of your vehicle. To prevent this, keep the release button engaged (if your car has one) as you apply the emergency brake. This allows you to control the pressure with which you are applying the brake. 7) Keep your eyes on the road and continue to steer. Pay attention to what’s in front of you, and maneuver to avoid heavy traffic, pedestrians, and dangerous obstacles. 8) Make sure other drivers know you’re there. Turn your hazard lights on, and honk your horn to make others aware that there is a problem. While they may not know what your issue is, a warning like that should cause most people to proceed with caution and pay attention to what your vehicle is doing. 9) If you have room on either side of you, steer sharply from side-to-side. Turning creates friction, which naturally will slow you down. If you do not have brakes, try turning sharply from left to right over and over to slow your car down. Do not do this at high speeds. Turning at high speeds may flip your car and turning too sharply at any speed can spin your car around, so be careful. 10) Use your surroundings to slow you. If none if the aforementioned is working, try to use the guardrails, terrain, runaway truck ramps or even shrubbery to slow your car. Use the back of a car as a last resort. 11) Look for a safe spot to pull over (or to crash). Search the road ahead for a safe area to pull over once you’re able to come to a stop. If you’re not able to bring the vehicle to a complete stop, look for open spaces that you can coast across without hitting anything. I hope you have learned something from these 11 easy steps! If you never have to use them thats good, but it is wise to learn these tips just in case you have to. Safety is a top consideration for drivers. While today’s cars offer more safety features than ever, from passive devices like air bags to active features such as stability control, nothing replaces careful attention to the most fundamental safety feature: brakes. 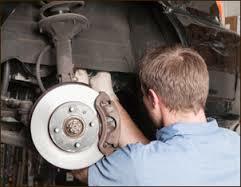 An annual brake inspection should be at the top of every motorist’s to-do list. Better yet, year-round attention to braking performance and developing the habit of listening for signs that brakes need attention should be part of every wise driver’s skillset. Channel Five News Colorado provides some key tips to keep in mind when assessing the current state of your brakes and your need for brake repair. 1. Feel any drag? Be alert to brakes that seem to stick, wheels that are hot or an engine that seems to lose power. The brakes may be failing to release; alternately, the condition could reverse, leaving you with no brakes at all. 2. There’s a pull. Does the vehicle pull to the left or right when brakes are applied? Make sure tires are fully inflated. If the pull persists, it’s time for a professional to check the brakes. 3. Stomping on the brakes? It should not take extreme muscle power to make the brakes work. This “hard pedal” symptom, when the brake pedal nearly touches the floor before engaging, can indicate brake trouble. 4. Brake light is on. There are several reasons the brake light is illuminated on the vehicle dashboard. The problem could be simple: brake fluid could be low. Or, it could involve a hydraulic system failure. 5. Shake, shake, shake. Can you feel the brake pedal, steering wheel or your entire vehicle vibrating, pulsating or shaking? This may indicate a problem with disc brake rotors or a faulty steering mechanism. 6. There’s a racket. Brakes should operate with very little noise. Don’t ignore squeals, screeches, grinding, groaning, chatter, clatter or bangs. Your brakes may need repair. 7. Grab. “Touchy” brakes that grab with the least bit of pressure may indicate that brake linings are contaminated with grease or oil, or a component is broken and could fail. Brakes wear out and will eventually need to be replaced. How quickly depends on factors unique to you: your driving habits, type of vehicle and when and where you drive. Last week, the National Highway Traffic Safety Administration (NHTSA) announced as a way to create consumer demand they want automatic emergency braking technologies listed in its New Car Assessment Program (NCAP) information sticker for a new vehicle. This information can be found online and on the window sticker of a new car. NCAP ratings is like the Yelp rating system for cars. Some people will not buy cars that have a low star rating. 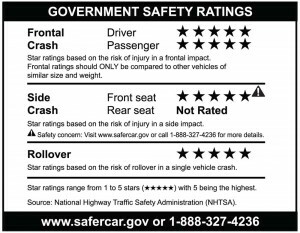 Currently, the NCAP uses frontal, side and rollover crash testing to determine the star rating. While the NCAP information does include rearview cameras, electronic stability control, lane departure and front collision warning, these do not count into the overall star rating. I hate to break it to NHTSA that automatic emergency braking systems are not standardized. One system may take over at 20mph while another kicks in at 35mph. One system may have front sensors while another system may detect only the driver quickly removing their foot from the brake pedal. Yes, they will decrease the severity of some impacts, but it is difficult to measure. Crash imminent braking and dynamic brake support systems can intervene by automatically applying the vehicle’s brakes or supplementing the driver’s braking effort to mitigate the severity of the crash or to avoid it altogether. In a 2012 report, NHTSA estimated automatic braking systems could potentially prevent approximately 40,000 minor/moderate injuries and 640 serious-to-critical injuries and save approximately 40 lives, annually. What they fail to realize is the human factor AEB systems. First, automakers will continue to put the responsibility for higher speed braking on the driver due to liability. Second, NHTSA is failing to take into account driver ignorance and the amount of education need to get drivers to understand these systems. In a survey of British drivers, it revealed that 98% of drivers don’t fully understand the most common dash board lights. 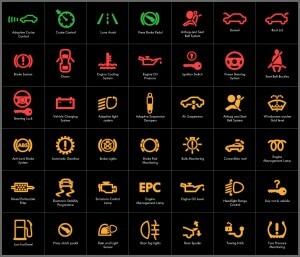 America has a less stringent driver education program, and I can guarantee 99% of American drivers could not identify all the lights on their dash including the ABS and ESC. Collision standards do not change dramatically as the vehicle ages, a five star is a five star at 10,000 or 100,000 miles (unless there is damage). Braking performance can change as pads, rotors and calipers age. Also, cheap replacement brake pads can diminish the performance of new safety systems. Also, there is no standard or FMVSS regulation for automatic emergency braking at this time. This means the newly recommended NCAT listing could be useless to consumers when comparing vehicles.